Prefab houses that take imaginative approaches to design are irresistibly interesting! 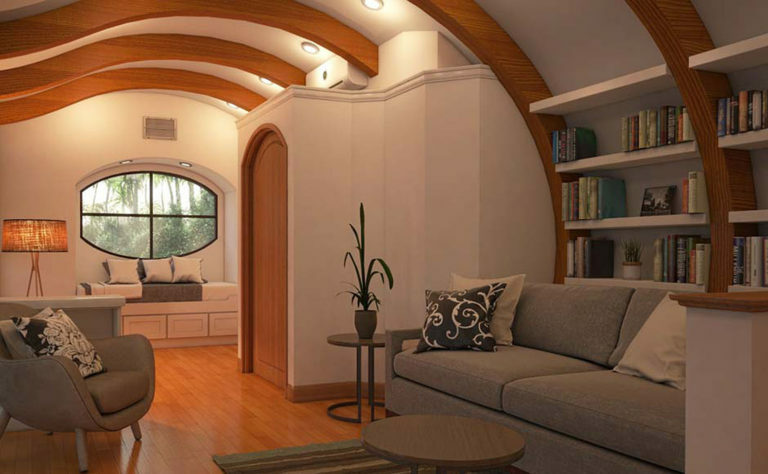 The amazingly roomy Net-Zero Arc House reveals how curves can create an illusionary feel – a small space seems much larger. 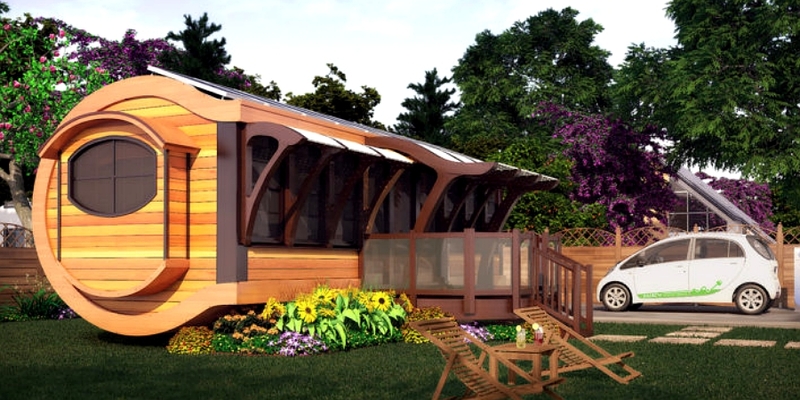 Innovatively and creatively designed by a group effort involving Green Builder Media, Shelter Dynamics, Kitcheneering, and Align3D, this prefab house is a good blend of the frugality and minimalism of micro house living with revolutionary structure science. 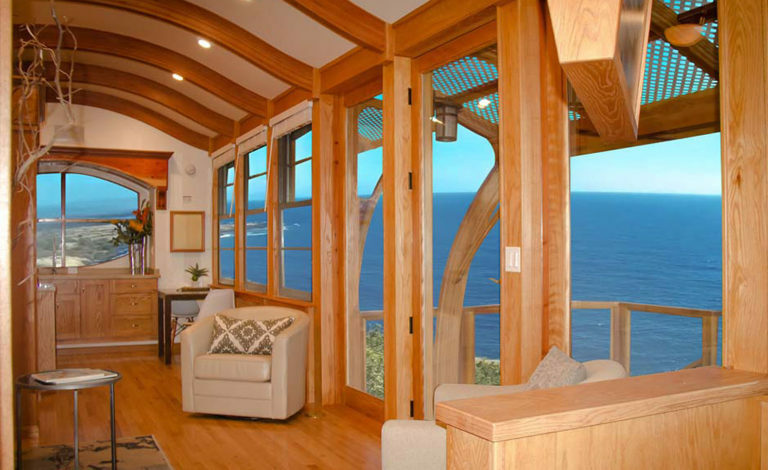 This fabulous Arc House ranges from 400 to 500 square feet. It is a good size for starting families and is designed for those who consider the importance of flexibility and affordability. 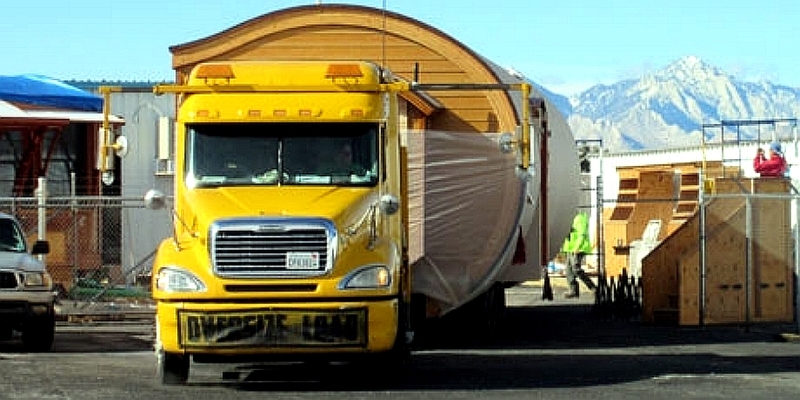 It abides by California’s factory prefabricated codes. This house has all the facilities of standard-sized homes. At the same time, it’s self-contained and compact; the house incorporates several sustainable essentials into a single set. 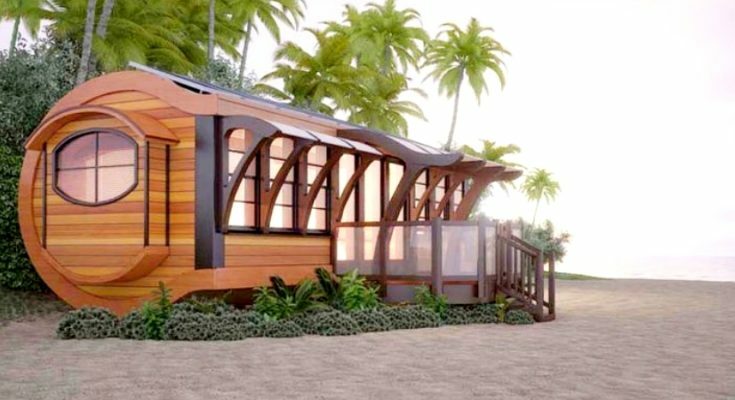 This micro prefab home is off-grid: it is a solar powered abode with advanced protection and energy storage capacity. It has a great purpose-built kitchen and a sleeping quarters with a walk-in closet. Thus, Arc Home features both the functionality and aesthetics that home buyers are yearning for. Also, its amazing shape is absolutely eye-catching and provides a spectacular artistic view. Who didn’t notice the strikingly unusual appearance of this home when they passed their eyes over it? The founder of Shelter Dynamics, Jim Gregory said that Arc House is a lovely house design which helped them in demonstrating their proficiency in designing and building prefab modular homes that are sustainable and meet the standard of a regular homes while keeping within an affordable budget. To see more of Shelter Dynamics’ work, find them in the Building Homes and Living directory.